OmniServer has always made integrating non-standard devices so much easier than the alternative - custom developed code. OmniServer has been integrating your non-standard devices since 1995 - 24 years of collecting data from process devices that might otherwise have just been black boxes. Over that time, we've continued to evolve OmniServer, listening to our users and adding the features that were requested most, making OmniServer as much yours as it is ours. Times continue to change and users are starting to ask for a more refined user experience with respect to configuration and ease-of-use. 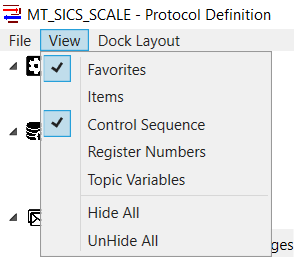 Our first phase of enhancing the user experience with OmniServer configuration came in 2016 with a Topic Configuration Wizard designed to better guide a new user through the process of marrying together a device's protocol with a topic that can be used by an HMI/SCADA client to access that device. For a how-to video on the Topic Wizard, click here. 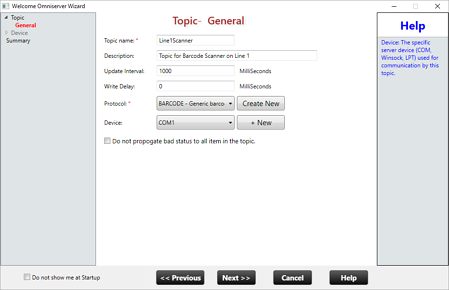 We've continued adding enhancements since then geared towards making your experience using OmniServer as natural and easy as possible, including a tree view, and import/export support for devices and topics at a server level and, within a protocol, items, registers, topic variables and even command/response messages. Now, we're realizing the culmination of a vision that many of our users and we ourselves have had for awhile now - an easier to use protocol builder with support for natural behaviors like dragging and dropping a message sequence, setting up your own layout with just the sequences you use the most when building an OmniServer protocol and even the ability to define your own custom "Favorite" sequences that you frequently use. And it works with most of your existing protocols and for creating new protocols. 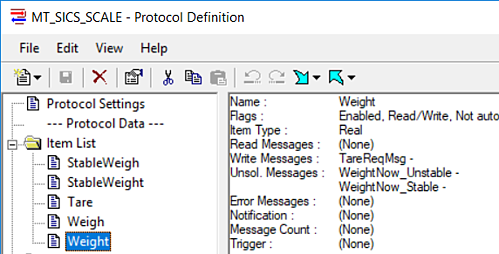 The only current functionality that is not supported in the initial version is for Error Detection Codes in a protocol - for protocols requiring Error Detection Codes, you will still use the current protocol editor in OmniServer. Now, though, I'll spend the rest of this blog post highlighting some of the key features in our visual protocol builder in a little more detail. Then I'll give you the chance to request more information and/or request consideration for access to the beta program for our new builder before the general release later this year (public release date to be announced). What Can I Do with the OmniServer Visual Protocol Builder? 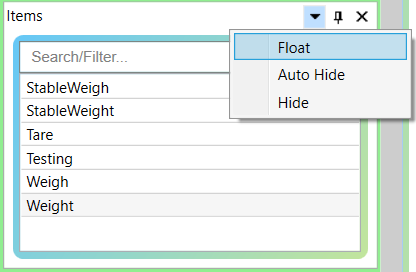 In the current OmniServer protocol editor, components such as items, topic variables, registers and even messages are listed in a tree view hierarchy but have to be opened individually for any edits and they are created from a traditional dialog window. With our visual protocol builder, that is no longer the case. The tree view lists the high-level component you're interested in but when you highlight it, a list is displayed to the right with all of the relevant items, messages, etc and their associated settingsin separate columns. Components are editable right in the list view without having to open any other dialog windows, saving you time when you have a lot of items or other protocol components to create for a protocol. It's a lot like creating a list of items, etc. in an Excel spreadsheet, but you're able to do it right in the protocol builder. For components like items, we not only tell you which message or messages they're used in - you can even click on a specific message where an item is used and the visual protocol builder takes you to that specific message! 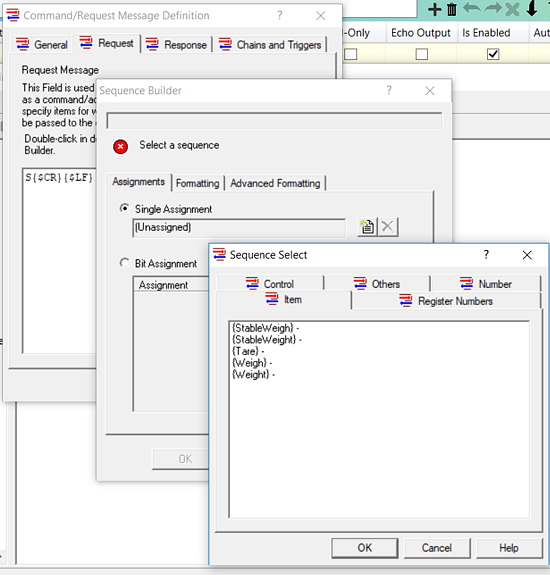 With the current OmniServer protocol editor, you have always had two ways to add "sequences" to a protocol message (Command/Response, Unsolicited or Error Messages) - via direct typing into the message field or using the OmniServer Sequence Builder and selecting "sequences". With the updated protocol builder, you can still directly type into a message field, just as always. The true power comes from being able to drag-and-drop sequences instead of having to launch the Sequence Builder. There are modules for the different available sequences (with the exception of Error Detection Codes, for the initial version) - there is a module for Control Sequences (i.e. Carriage Return, Line Feed, Start of Text, End of Text, and other special characters), Items, Register Numbers and Topic Variables. 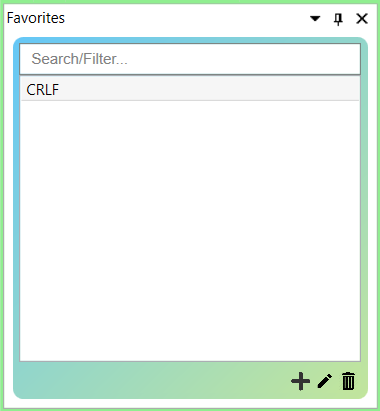 You may have noticed a module in the animation above labelled "Favorites". I didn't mention that one because it's special enough that I wanted it to have its own section. The "Favorites" module is functionality above and beyond any comparable ability in previous protocol editors in OmniServer. We're giving you the ability to streamline your protocol creation especially if you're one of those users that works with OmniServer a lot and you find that you're using a lot of the same groupings of sequences - for example, it's very common for the terminating characters on messages to be a Carriage Return and Line Feed together. So, in the new visual protocol builder, you can save the grouping of Carriage Return and Line Feed together in a Favorite so that you don't have to enter those sequences individually. We've even given you the ability to highlight/select any group of sequences already defined in a message field, then right-click and save that selection as a Favorite! 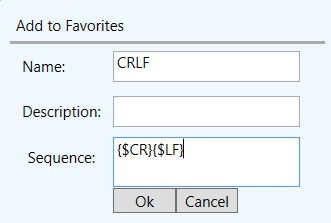 Favorites are a real time saver when you're frequently creating messages with repetitive sequences. And, continuing the topic of modules with sequences you can drag-and-drop, we also understand that not all users use their OmniServer in exactly the same way. 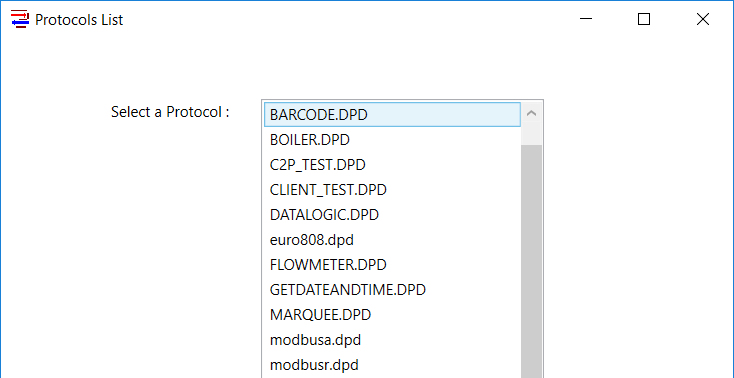 Not all users even need Register Numbers or Topic Variables for their protocols. So, if you don't need them, why should they have to take up valuable screen space as you build your OmniServer protocol? With the visual protocol builder, they don't! You can hide any modules you don't need, float or dock modules if you want to have them on a separate screen and rearrange modules in the positions that are most relevant or comfortable for your use case. 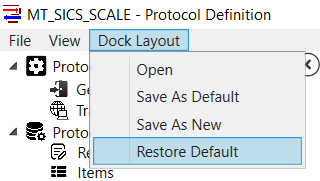 And, going even further, we provide options under the "Dock Layout" menu that allow you to save different layouts for loading later, you can Restore the default which, by default, has all modules visible or you can even save your new layout as the default, if you wish. This is great for multi-user systems where different users prefer a different layout. And, for any modules you've previously hidden, you can easily make them visible again using the View menu. Where can I get more information about the OmniServer Visual Protocol Builder? Hopefully you're as excited as we are about getting the visual protocol builder release to you, our OmniServer users, who can take full advantage of the usability updates I've given you a sample of above. To make sure we're giving our users exactly what will work best for them, we'll be running a limited time beta program to give some of you access to a beta version before the actual release (public release date to be announced). This will provide you with the opportunity to try out all of the features in the visual protocol builder and provide any feedback you may have on current functionality or even other features you would like to see. While we think the visual protocol builder is great in its current state, our mindset is that there is always room for improvement. So, if you like what you see and would like to learn more and request consideration to be included in the beta program, I encourage you to reach out to us using the button below. And, if you haven't already, I encourage you to subscribe to our blog for more news on the visual protocol builder but also for other quick and easy OmniServer tutorials and tips.